Mission: to be a catalyst for change, a shape-shifter. My grandfather was an astrologist (amongst other things), who told me that my life would be about bridging heaven and earth. Another reader of signs told me that I would be like a catalyst in peoples lives. Today, I'm living those predictions through my work as a Somatic Coach and educator. My vision is a world where people live with heart and purpose, and a key to that intent is waking up to the life of the body. My years studying and practicing as a massage therapist have prepared me for this quantum leap from working "with" the body, to working "through" the body; it becomes less about my effort and knowledge, and more about the clients' awareness, power and choice. It's about their awakening, their aliveness, their listening to their longings. We are each a mystery unraveling and opening to an even greater mystery. There are infinite possible futures that we may never know. The best we can do is open to what is alive and present in this moment, knowing all that we can about what happens now: our sensations, our feelings, our thoughts, our actions. This is where our power lies. Bio: Born and raised in Ontario, Canada, Niko graduated from the 2400 hour program at West Coast College of Massage Therapy, Vancouver, in 1987 and has been nationally certified with NCBTMB since 2000. 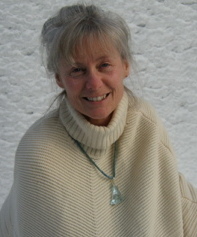 She co-founded Touchstone Healing Arts in 1998, Vermont’s first 650 hour massage practitioner training program. In 2002 Niko graduated from Spirit of Learning under the tutelage of Carey Smith and continues as a teacher trainer and member of the Center for Embodied Teacher Education. Since 2005 Niko has studied directly with Richard Strozzi-Heckler in Leadership Skills and Somatic Coaching. She became a Certified Somatic Coach through Strozzi Institute in 2008.